Massachusetts Vital Records, 1841-1910, , Vol: 464 ; Page: 111. Find A Grave Memorial# 42160635. Maine State Archives; Cultural Building, 84 State House Station, Augusta, ME 04333-0084; 1892-1907 Vital Records; Roll #: 14. Brown Thurston, Thurston Genealogies., Portland, Maine: Brown Thurston and Hoyt, Fogg & Donham, (1880) , p. 254. Brown Thurston, , p. 220. Robert Safford Hale, Genealogy of descendants of Thomas Hale of Watton, England, and of Newbury, Mass., , at https://archive.org/stream/genealogyofdesce00hale . Albany, N.Y.: Weed, Parsons and Company, printers, (1889) , p. 108. Robert Safford Hale, Genealogy of descendants of Thomas Hale of Watton, England, and of Newbury, Mass., , at https://archive.org/stream/genealogyofdesce00hale . Albany, N.Y.: Weed, Parsons and Company, printers, (1889) , p. 160. 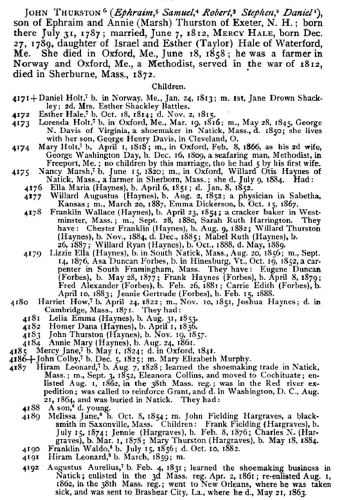 "Maine, Births and Christenings, 1739-1900," index, FamilySearch (https://familysearch.org/pal:/MM9.1.1/F496-146 : accessed 03 Dec 2012), Allen T. Hale in entry for Nellie J. Hale, 29 Nov 1869; citing reference , FHL microfilm 9797. "Massachusetts, Marriages, 1841-1915," index and images, FamilySearch (https://familysearch.org/pal:/MM9.1.1/N463-M5C : accessed 03 Dec 2012), Allen T Hale Hinds in entry for Samuel C Fields and Nellie J Hale Hinds, 1912. "Maine Vital Records, 1670-1921", database with images, FamilySearch (https://familysearch.org/ark:/61903/1:1:VZQX-PBM : 27 December 2014), Freddie A Hines, 1894. On May 20, 1803, Oliver Hale and David Hale purchased lot 99 of school lands in Turner, Androscoggin County, Maine. Oliver Hale and Elizabeth Newton published their marriage intention on October 27, 1832. "Maine Marriages, 1771-1907," database, FamilySearch (https://familysearch.org/ark:/61903/1:1:F467-LWP : 4 December 2014), Oliver Hale and Elizabeth Newton, 27 Nov 1832; citing Otisfield, Maine, reference ; FHL microfilm 9,797. Find A Grave Memorial# 74779335. Oliver Hale Jr. was born on June 20, 1803 in Waterford, Oxford County, Maine. He was the son of Oliver Hale and Eunice Fletcher. Oliver married Harriet Waite on October 29, 1832 in Waterford, Oxford County, Maine. As of September 26, 1854, Oliver Hale Jr. lived at Portland, Cumberland County, Maine. He and Mary Ann Lincoln published their marriage intention on September 26, 1854 in Portland, Cumberland County, Maine. 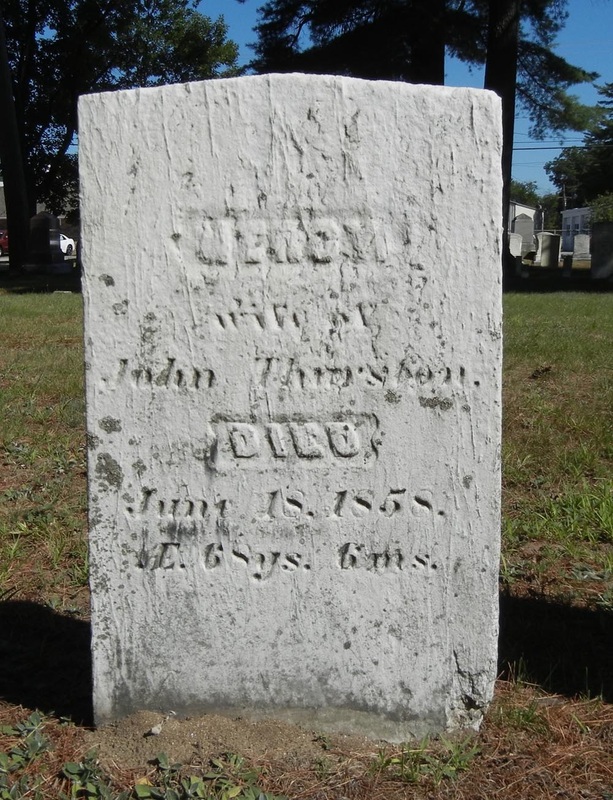 Oliver died on January 16, 1866 in Waterford, Oxford County, Maine, at age 62. Oxford County, Maine Deeds Index Vol 1 - A-J 1805-1825, , p. 485. 1850 United States. Census Office. 7th census, Population schedules of the seventh census of the United States, 1850, Washington, District of Columbia: National Archives. Central Plains Region, (1964) , Waterford 434/451. Gedcom file, originally "Lincoln gen.6.1.GED," also known as 13693.GED,. "Maine Vital Records, 1670-1907 ", database with images, FamilySearch (https://familysearch.org/ark:/61903/1:1:VZQZ-NDL : 27 December 2014), Henry W Hale, 1897. 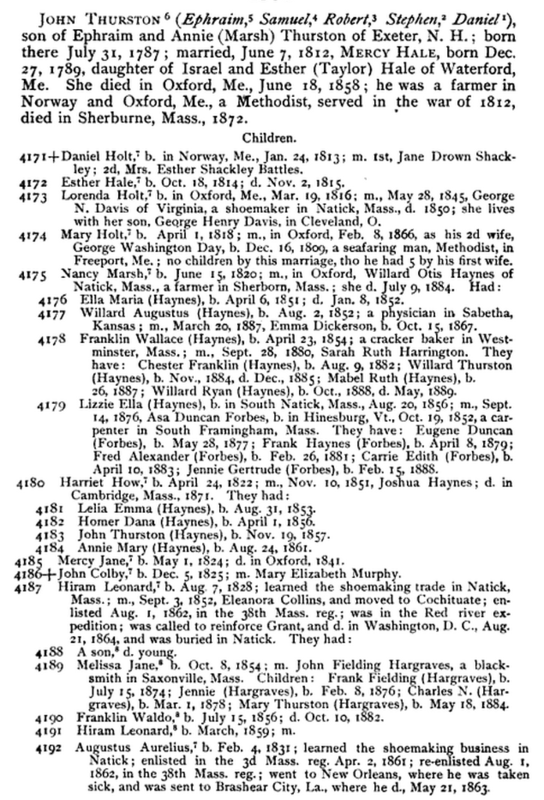 "Maine Births and Christenings, 1739-1900," database, FamilySearch (https://familysearch.org/ark:/61903/1:1:F4SZ-828 : 4 December 2014), Harriet Elizabeth Hale, 23 Aug 1843; citing Waterford, Oxford, Maine; FHL microfilm 12,625. "Maine, Births and Christenings, 1739-1900," index, FamilySearch (https://familysearch.org/pal:/MM9.1.1/F4S8-XQ7 : accessed 25 Nov 2012), John R. Hale in entry for Orra E. Hale, 15 Nov 1857; citing reference 2:1VL0ZLD, FHL microfilm 11531. "Massachusetts, Town Clerk, Vital and Town Records, 1626-2001," database with images, FamilySearch (https://familysearch.org/ark:/61903/1:1:Q29L-RGHF : 13 July 2016), Orran Francis Hale, 19 Aug 1839; citing Birth, Sandwich, Barnstable, Massachusetts, United States, , town clerk offices, Massachusetts; FHL microfilm 775,836. "United States Census, 1880," database with images, FamilySearch (https://familysearch.org/ark:/61903/1:1:M6P8-26N : 24 December 2015), Orrin F Hale, San Francisco, San Francisco, California, United States; citing enumeration district ED 142, sheet 347A, NARA microfilm publication T9 (Washington D.C.: National Archives and Records Administration, n.d.), roll 0076; FHL microfilm 1,254,076. "Massachusetts Deaths, 1841-1915," database with images, FamilySearch (https://familysearch.org/ark:/61903/1:1:N48J-RVQ : 10 December 2014), Orin H Hale, 23 Feb 1911; citing West Barnstable,,Massachusetts, 135, State Archives, Boston; FHL microfilm 2,393,698. "New Hampshire Marriage Records, 1637-1947," database with images, FamilySearch (https://familysearch.org/ark:/61903/1:1:FLDZ-CS2 : 12 December 2014), Norman L. Kimball and Queenie G. Hale, 28 Dec 1918; citing Rochester, , New Hampshire, Bureau of Vital Records and Health Statistics, Concord; FHL microfilm 2,069,380. Rachel married George Adams on July 4, 1848 in York, York County, Maine. Rachel died on February 11, 1889 in York, York County, Maine, at age 67.